This week, the community of high-energy physicists — of those of us fascinated by particles, fields, strings, black holes, and the universe at large — is mourning the loss of one of the great theoretical physicists of our time, Joe Polchinski. It pains me deeply to write these words. Everyone who knew him personally will miss his special qualities — his boyish grin, his slightly wicked sense of humor, his charming way of stopping mid-sentence to think deeply, his athleticism and friendly competitiveness. Everyone who knew his research will feel the absence of his particular form of genius, his exceptional insight, his unique combination of abilities, which I’ll try to sketch for you below. Those of us who were lucky enough to know him both personally and scientifically — well, we lose twice. Polchinski — Joe, to all his colleagues — had one of those brains that works magic, and works magically. Scientific minds are as individual as personalities. Each physicist has a unique combination of talents and skills (and weaknesses); in modern lingo, each of us has a superpower or two. Rarely do you find two scientists who have the same ones. Joe had several superpowers, and they were really strong. He had a tremendous knack for looking at old problems and seeing them in a new light, often overturning conventional wisdom or restating that wisdom in a new, clearer way. And he had prodigious technical ability, which allowed him to follow difficult calculations all the way to the end, on paths that would have deterred most of us. One of the greatest privileges of my life was to work with Joe, not once but four times. I think I can best tell you a little about him, and about some of his greatest achievements, through the lens of that unforgettable experience. I can already hear the polemical haters of string theory screaming at me. ‘A discovery in string theory,’ some will shout, pounding the table, ‘an untested and untestable theory that’s not even wrong, should not be called a discovery in physics.’ Pay them no mind; they’re not even close, as you’ll see by the end of my remarks. Joe and his co-workers hit the jackpot, but they didn’t realize it yet. What they discovered, in retrospect, was that D-branes are an automatic feature of string theory. They’re not optional; you can’t choose to study string theories that don’t have them. And they aren’t just surfaces or lines that sit still. They’re physical objects that can roam the world. They have mass and create gravitational effects. They can move around and scatter off each other. They’re just as real, and just as important, as the strings themselves! Fig. 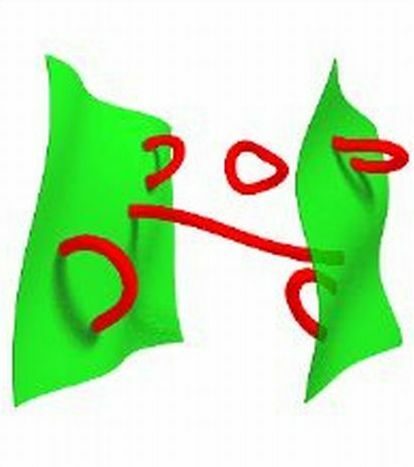 1: D branes (in green) are physical objects on which a fundamental string (in red) can terminate. It was as though Joe and his collaborators started off trying to understand why the chicken crossed the road, and ended up discovering the existence of bicycles, cars, trucks, buses, and jet aircraft. It was that unexpected, and that rich. And yet, nobody, not even Joe and his colleagues, quite realized what they’d done. Rob Leigh, Joe’s co-author, had the office next to mine for a couple of years, and we wrote five papers together between 1993 and 1995. Yet I think Rob mentioned his work on D-branes to me just once or twice, in passing, and never explained it to me in detail. Their paper had less than twenty citations as 1995 began. In 1995 the understanding of string theory took a huge leap forward. That was the moment when it was realized that all five known types of string theory are different sides of the same die — that there’s really only one string theory. A flood of papers appeared in which certain black holes, and generalizations of black holes — black strings, black surfaces, and the like — played a central role. The relations among these were fascinating, but often confusing. And then, on October 5, 1995, a paper appeared that changed the whole discussion, forever. It was Joe, explaining D-branes to those of us who’d barely heard of his earlier work, and showing that many of these black holes, black strings and black surfaces were actually D-branes in disguise. His paper made everything clearer, simpler, and easier to calculate; it was an immediate hit. By the beginning of 1996 it had 50 citations; twelve months later, the citation count was approaching 300. So what? Great for string theorists, but without any connection to experiment and the real world. What good is it to the rest of us? Patience. I’m just getting to that. What’s it Got to Do With Nature? 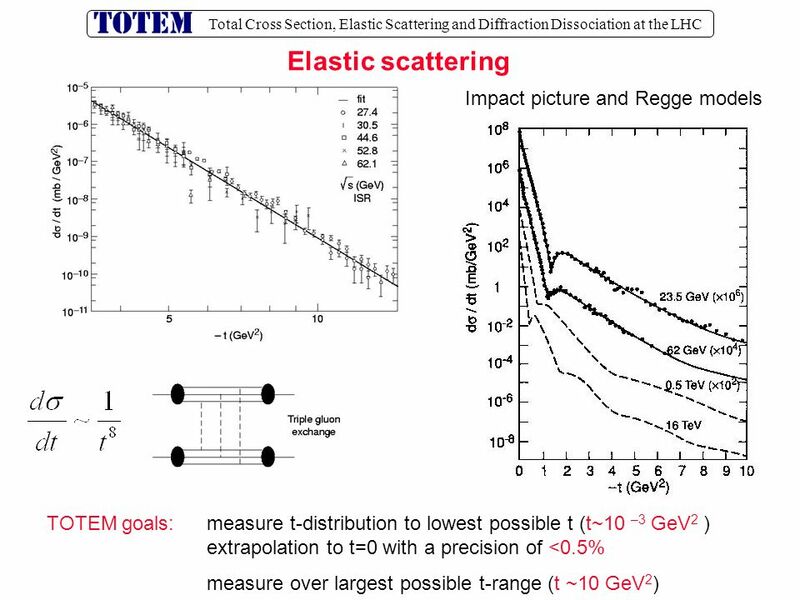 But the quark/gluon picture of mesons and baryons, back in the late 1960s, was just an idea, and it was in competition with a proposal that mesons are little strings. These are not, I hasten to add, the “theory of everything” strings that you learn about in Brian Greene’s books, which are a billion billion times smaller than a proton. In a “theory of everything” string theory, often all the types of particles of nature, including electrons, photons and Higgs bosons, are tiny tiny strings. What I’m talking about is a “theory of mesons” string theory, a much less ambitious idea, in which only the mesons are strings. They’re much larger: just about as long as a proton is wide. That’s small by human standards, but immense compared to theory-of-everything strings. Why did people think mesons were strings? Because there was experimental evidence for it! (Here’s another example.) And that evidence didn’t go away after quarks were discovered. Instead, theoretical physicists gradually understood why quarks and gluons might produce mesons that behave a bit like strings. If you spin a meson fast enough (and this can happen by accident in experiments), its valence quark and anti-quark may separate, and the sea of objects between them forms what is called a “flux tube.” See Figure 3. [In certain superconductors, somewhat similar flux tubes can trap magnetic fields.] It’s kind of a thick string rather than a thin one, but still, it shares enough properties with a string in string theory that it can produce experimental results that are similar to string theory’s predictions. Fig. 3: One reason mesons behave like strings in experiment is that a spinning meson acts like a thick string, with the valence quark and anti-quark at the two ends. And so, from the mid-1970s onward, people were confident that quantum field theories like the one that describes quarks and gluons can create objects with stringy behavior. A number of physicists — including some of the most famous and respected ones — made a bolder, more ambitious claim: that quantum field theory and string theory are profoundly related, in some fundamental way. But they weren’t able to be precise about it; they had strong evidence, but it wasn’t ever entirely clear or convincing. In particular, there was an important unresolved puzzle. If mesons are strings, then what are baryons? What are protons and neutrons, with their three valence quarks? What do they look like if you spin them quickly? The sketches people drew looked something like Figure 3. A baryon would perhaps become three joined flux tubes (with one possibly much longer than the other two), each with its own valence quark at the end. In a stringy cartoon, that baryon would be three strings, each with a free end, with the strings attached to some sort of junction. This junction of three strings was called a “baryon vertex.” If mesons are little strings, the fundamental objects in a string theory, what is the baryon vertex from the string theory point of view?! Where is it hiding — what is it made of — in the mathematics of string theory? Fig. 4: A fast-spinning baryon looks vaguely like the letter Y — three valence quarks connected by flux tubes to a “baryon vertex”. A cartoon of how this would appear from a stringy viewpoint, analogous to Fig. 3, leads to a mystery: what, in string theory, is this vertex?! The baryon puzzle: what is a baryon from the string theory viewpoint? No one knew. But isn’t it interesting that the most prominent feature of this vertex is that it is a location where a string’s end can be trapped? Everything changed in the period 1997-2000. Following insights from many other physicists, and using D-branes as the essential tool, Juan Maldacena finally made the connection between quantum field theory and string theory precise. He was able to relate strings with gravity and extra dimensions, which you can read about in Brian Greene’s books, with the physics of particles in just three spatial dimensions, similar to those of the real world, with only non-gravitational forces. It was soon clear that the most ambitious and radical thinking of the ’70s was correct — that almost every quantum field theory, with its particles and forces, can alternatively be viewed as a string theory. It’s a bit analogous to the way that a painting can be described in English or in Japanese — fields/particles and strings/gravity are, in this context, two very different languages for talking about exactly the same thing. The saga of the baryon vertex took a turn in May 1998, when Ed Witten showed how a similar vertex appears in Maldacena’s examples. [Note added: I had forgotten that two days after Witten’s paper, David Gross and Hirosi Ooguri submitted a beautiful, wide-ranging paper, whose section on baryons contains many of the same ideas.] Not surprisingly, this vertex was a D-brane — specifically a D-particle, an object on which the strings extending from freely-moving quarks could end. It wasn’t yet quite satisfactory, because the gluons and quarks in Maldacena’s examples roam free and don’t form mesons or baryons. Correspondingly the baryon vertex isn’t really a physical object; if you make one, it quickly diffuses away into nothing. Nevertheless, Witten’s paper made it obvious what was going on. To the extent real-world mesons can be viewed as strings, real-world protons and neutrons can be viewed as strings attached to a D-brane. It didn’t take long for more realistic examples, with actual baryons, to be found by theorists. I don’t remember who found one first, but I do know that one of the earliest examples showed up in my first paper with Joe, in the year 2000. That project arose during my September 1999 visit to the KITP (Kavli Institute for Theoretical Physics) in Santa Barbara, where Joe was a faculty member. Some time before that I happened to have studied a field theory (called N=1*) that differed from Maldacena’s examples only slightly, but in which meson-like objects do form. One of the first talks I heard when I arrived at KITP was by Rob Myers, about a weird property of D-branes that he’d discovered. During that talk I made a connection between Myers’ observation and a feature of the N=1* field theory, and I had one of those “aha” moments that physicists live for. I suddenly knew what the string theory that describes the N=1* field theory must look like. But for me, the answer was bad news. To work out the details was clearly going to require a very difficult set of calculations, using aspects of string theory about which I knew almost nothing [non-holomorphic curved branes in high-dimensional curved geometry.] The best I could hope to do, if I worked alone, would be to write a conceptual paper with lots of pictures, and far more conjectures than demonstrable facts. But I was at KITP. Joe and I had had a good personal rapport for some years, and I knew that we found similar questions exciting. And Joe was the brane-master; he knew everything about D-branes. So I decided my best hope was to persuade Joe to join me. I engaged in a bit of persistent cajoling. Very fortunately for me, it paid off. I went back to the east coast, and Joe and I went to work. Every week or two Joe would email some research notes with some preliminary calculations in string theory. They had such a high level of technical sophistication, and so few pedagogical details, that I felt like a child; I could barely understand anything he was doing. We made slow progress. Joe did an important warm-up calculation, but I found it really hard to follow. If the warm-up string theory calculation was so complex, had we any hope of solving the full problem? Even Joe was a little concerned. And then one day, I received a message that resounded with a triumphant cackle — a sort of “we got ’em!” that anyone who knew Joe will recognize. Through a spectacular trick, he’d figured out how use his warm-up example to make the full problem easy! Instead of months of work ahead of us, we were essentially done. From then on, it was great fun! Almost every week had the same pattern. I’d be thinking about a quantum field theory phenomenon that I knew about, one that should be visible from the string viewpoint — such as the baryon vertex. I knew enough about D-branes to develop a heuristic argument about how it should show up. I’d call Joe and tell him about it, and maybe send him a sketch. A few days later, a set of notes would arrive by email, containing a complete calculation verifying the phenomenon. Each calculation was unique, a little gem, involving a distinctive investigation of exotically-shaped D-branes sitting in a curved space. It was breathtaking to witness the speed with which Joe worked, the breadth and depth of his mathematical talent, and his unmatched understanding of these branes. Throughout our years of collaboration, it was always that way when we needed to go head-first into the equations; Joe inevitably left me in the dust, shaking my head in disbelief. That’s partly my weakness… I’m pretty average (for a physicist) when it comes to calculation. But a lot of it was Joe being so incredibly good at it. Fortunately for me, the collaboration was still enjoyable, because I was almost always able to keep pace with Joe on the conceptual issues, sometimes running ahead of him. Among my favorite memories as a scientist are moments when I taught Joe something he didn’t know; he’d be silent for a few seconds, nodding rapidly, with an intent look — his eyes narrow and his mouth slightly open — as he absorbed the point. “Uh-huh… uh-huh…”, he’d say. But another side of Joe came out in our second paper. As we stood chatting in the KITP hallway, before we’d even decided exactly which question we were going to work on, Joe suddenly guessed the answer! And I couldn’t get him to explain which problem he’d solved, much less the solution, for several days!! It was quite disorienting. This was another classic feature of Joe. Often he knew he’d found the answer to a puzzle (and he was almost always right), but he couldn’t say anything comprehensible about it until he’d had a few days to think and to turn his ideas into equations. During our collaboration, this happened several times. (I never said “Use your words, Joe…”, but perhaps I should have.) Somehow his mind was working in places that language doesn’t go, in ways that none of us outside his brain will ever understand. In him, there was something of an oracle. Our interests gradually diverged after 2006; I focused on the Large Hadron Collider [also known as the Large D-brane Collider], while Joe, after some other explorations, ended up thinking about black hole horizons and the information paradox. But I enjoyed his work from afar, especially when, in 2012, Joe and three colleagues (Ahmed Almheiri, Don Marolf, and James Sully) blew apart the idea of black hole complementarity, widely hoped to be the solution to the paradox. [I explained this subject here, and also mentioned a talk Joe gave about it here.] The wreckage is still smoldering, and the paradox remains. Then Joe fell ill, and we began to lose him, at far too young an age. One of his last gifts to us was his memoirs, which taught each of us something about him that we didn’t know. Finally, on Friday last, he crossed the horizon of no return. If there’s no firewall there, he knows it now. What, we may already wonder, will Joe’s scientific legacy be, decades from now? It’s difficult to foresee how a theorist’s work will be viewed a century hence; science changes in unexpected ways, and what seems unimportant now may become central in future… as was the path for D-branes themselves in the course of the 1990s. For those of us working today, D-branes in string theory are clearly Joe’s most important discovery — though his contributions to our understanding of black holes, cosmic strings, and aspects of field theory aren’t soon, if ever, to be forgotten. But who knows? By the year 2100, string theory may be the accepted theory of quantum gravity, or it may just be a little-known tool for the study of quantum fields. Yet even if the latter were to be string theory’s fate, I still suspect it will be D-branes that Joe is remembered for. Because — as I’ve tried to make clear — they’re real. Really real. There’s one in every proton, one in every neutron. Our bodies contain them by the billion billion billions. For that insight, that elemental contribution to human knowledge, our descendants can blame Joseph Polchinski. Thanks for everything, Joe. We’ll miss you terribly. You so often taught us new ways to look at the world — and even at ourselves. One of the concepts that’s playing a big role in contemporary discussions of the laws of nature is the notion of “vacua”, the plural of the word “vacuum”. I’ve just completed an article about what vacua are, and what it means for a universe to have multiple vacua, or for a theory that purports to describe a universe to predict that it has multiple vacua. In case you don’t want to plunge right in to that article, here’s a brief summary of why this is interesting and important. Outside of physics, most people think of a vacuum as being the absence of air. For physicists thinking about the laws of nature, “vacuum” means space that has been emptied of everything — at least, emptied of everything that can actually be removed. That certainly means removing all particles from it. But even though vacuum implies emptiness, it turns out that empty space isn’t really that empty. There are always fields in that space, fields like the electric and magnetic fields, the electron field, the quark field, the Higgs field. And those fields are always up to something. First, all of the fields are subject to “quantum fluctuations” — a sort of unstoppable jitter that nothing in our quantum world can avoid. [Sometimes these fluctuations are referred to as “virtual particles”; but despite the name, those aren’t particles. Real particles are well-behaved, long-lived ripples in those fields; fluctuations are much more random.] These fluctuations are always present, in any form of empty space. Second, and more important for our current discussion, some of the fields may have average values that aren’t zero. [In our own familiar form of empty space, the Higgs field has a non-zero average value, one that causes many of the known elementary particles to acquire a mass (i.e. a rest mass).] And it’s because of this that the notion of vacuum can have a plural: forms of empty space can differ, even for a single universe, if the fields of that universe can take different possible average values in empty space. If a given universe can have more than one form of empty space, we say that “it has more than one vacuum”. The future of the universe, and our understanding of how the universe came to be, might crucially depend on this second, exotic vacuum. Today’s article sets the stage for future articles, which will provide an explanation of why the vacua of the universe play such a central role in our understanding of nature at its most elemental. Yours truly, in which I quickly reviewed my papers with Polchinski relating string theory and quantum field theory, emphasizing what an amazing experience it is to work with him; then I spoke briefly about my most recent Large Hadron Collider [LHC] research (#1,#2), and concluded with some provocative remarks about what it would mean if the LHC, having found the last missing particle of the Standard Model (i.e. the Higgs particle), finds nothing more. The lectures have been recorded, so you will soon be able to find them at the KITP site and listen to any that interest you. Let me relate one thing that Eric Gimon, one of Polchinski’s former students, had to say during the student panel. Gimon, a former collaborator of mine, left academia some time ago and now works in the private sector. When it was his turn to speak, he asked, rhetorically, “So, how does calculating partition functions in K3 orientifolds” (which is part of what Gimon did as a graduate student) “prepare you for the real world?” How indeed, you may wonder. His answer: “A sense of pertinence.” In other words, an ability to recognize which aspects of a puzzle or problem are nothing but distracting details, and which ones really matter and deserve your attention. It struck me as an elegant expression of what it means to be a physicist. Today and tomorrow I’m at the Kavli Institute for Theoretical Physics, on the campus of the University of California at Santa Barbara, attending a conference celebrating the career of one of the world’s great theoretical physicists, Joe Polchinski. Polchinski has shown up on this website a couple of times already (here, here and here). And in yesterday’s post (on string/M theory) I mentioned him, because of his game-changing work from 1995 on “D-branes”, objects that arise in string theory. His paper on the subject has over 2000 citations! And now it’s such a classic that people rarely actually cite it anymore, just as they don’t cite Feynman’s paper on Feynman diagrams; its ideas have surely been used by at least double that number of papers. Polchinski’s also very well-known for his work on quantum gravity, black holes, cosmic [i.e. astronomically large] strings, and quantum field theory. Between 2000 and 2006, I had the extraordinary privilege to write four papers with Polchinski, all of them aimed at clarifying the relationship between string theory and quantum field theory. This was the longest collaboration of my career, and a very successful one. Because of this, I have the honor to give one of the talks today at the conference. So I’m going to cut my post short now, and tell you more about what’s happening at the conference when my duty is done. But I will perhaps tease you with one cryptic remark. Although D-branes arise in string theory, that’s not the only place you’ll find them. As we learned in 1998-2000, there’s a perspective from which protons and neutrons themselves are D-branes. From that point of view, we’re made out of these things. Someday — not today — I’ll explain that comment. But it’s one of many reasons why Polchinski’s work on D-branes is so important. Today I continue with my series of posts on fields, strings and predictions. During the 1980s, as I discussed in the previous post in this series, string theorists learned that of all the possible string theories that one could imagine, there were only five that were mathematically consistent. What they learned in the first half of the 1990s, culminating in early 1995, is that all five string theories are actually little corners of a single, more encompassing, and still somewhat mysterious theory. In other words, after 30 years of studying various types of theories with strings in them, they ended up with just one! On the one hand, that sort of sounds like a flop — all that work, by all those people, over two decades, and all we got for our efforts was one new theory? On the other hand, it’s very tempting to think that the reason that everyone ended up converging on the same theory is that maybe it’s the only consistent theory of quantum gravity! At this point there’s no way to know for sure, but so far there’s no evidence against that possibility. Certainly its a popular idea among string theorists. This unique theory is called “M theory” today; we don’t know a better name, because we don’t really know what it is. We don’t know what it describes in general. We don’t know a principle by which to define it. Sometimes it is called “string/M theory” to remind us that it is string theory in certain corners. Fig. 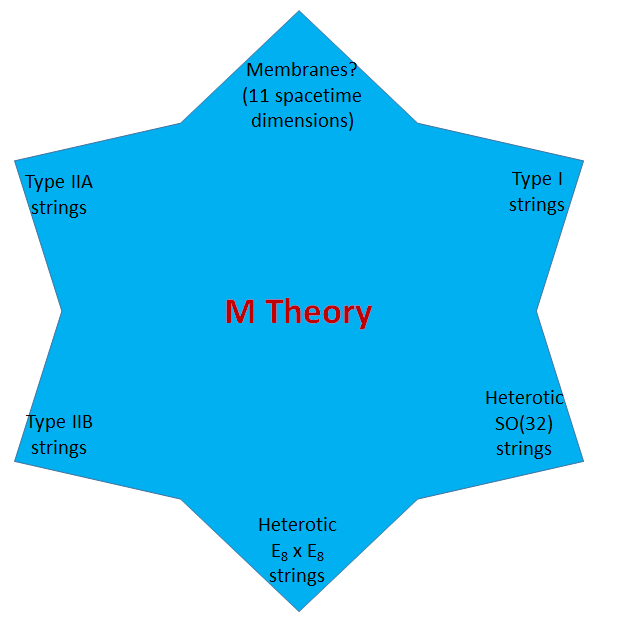 1: A famous but very schematic image of M theory, which is a set of equations that, depending on how they are used, can describe universes whose particles and forces are given by any one of the known consistent string theories or by 11-dimensional supergravity. Only at the corners does it give the relatively simple string theories described in my previous post. More generally, away from the corners, it describes much more complicated and poorly understood types of worlds. Note that M theory is very different in one key respect from quantum field theory. As I described in the second post in this series, “quantum field theory” is the term that describes the general case; “a quantum field theory” is a specific example within the infinite number of “quantum field theories”. But there’s no analogue of this distinction for M theory. M theory is (as far as anyone can discern) a unique theory; it is both the general and the specific case. There is no category of “M theories”. However, this uniqueness, while remarkable, is not quite as profound as it might sound… for a reason I’ll return to in a future post. Incidentally, the relationship between the five apparently very different string theories that appear in M theory is similar to the surprising relationships among various field theories that I described in this post. It’s not at all obvious that each string theory is related to the other four… which is why it took some time, and a very roundabout route involving the study of black holes and their generalizations to black strings and black branes, for this relationship to become clear. But as it did become clear, it was realized that “M theory” (or “string/M theory”, as it is sometimes called) is not merely, or even mainly, a theory of strings; it’s much richer than that. In one corner it is actually a theory with 10 spatial (11 space-time) dimensions; this is a theory with membranes rather than strings, one which we understand poorly. And in all of its corners, the theory has more than just strings; it has generalizations of membranes, called “branes” in general. [Yes, the joke’s been made already; the experts in this subject had indeed been brane-less for years.] Particles are zero-dimensional points; strings are one-dimensional wiggly lines; membranes are two-dimensional surfaces. In the ordinary three spatial dimensions we can observe, that’s all we’ve got. But in superstring theory, with nine spatial dimensions, one doesn’t stop there. There are three-dimensional branes, called three-branes for short; there are four-branes, five-branes, and on up to eight-branes. [There are even nine-branes too, which are really just a way of changing all of space. The story is rich and fascinating both physically and mathematically.] The pattern of the various types of branes — specifically, which ones are found in which corners of M theory, and the phenomena that occur when they intersect one another — is a fantastically elegant story that was worked out in the early-to-mid 1990s. A brane on which a fundamental string can end is called a “D-brane”. Joe Polchinski is famous for having not only co-discovered these objects in the 1980s but for having recognized, in mid-1995, the wide-ranging role they play in the way the five different string theories are related to each other. I still remember vividly the profound effect that his 1995 paper had on the field. A postdoctoral researcher at the time, I was attending bi-weekly lectures by Ed Witten on the new developments of that year. I recall that at the lecture following Polchinski’s paper, Witten said something to the effect that everything he’d said in his presentations so far needed to be rethought. And over the next few months, it was. Fig. 2: In addition to fundamental strings (upper left), string theories can have D-branes, such as the D string (or D1-brane) shown at lower left, the D particle (or D0 brane) shown at lower right, or the D2-branes shown at right. There are also D3, D4, D5, D6, D7, D8 and D9 branes, along with NS5-branes, but since they have more than two spatial dimensions I can’t hope to draw them. There are no strings or D-branes, but there are M2-branes and M5- branes, in the 11-dimensional corner of M theory. 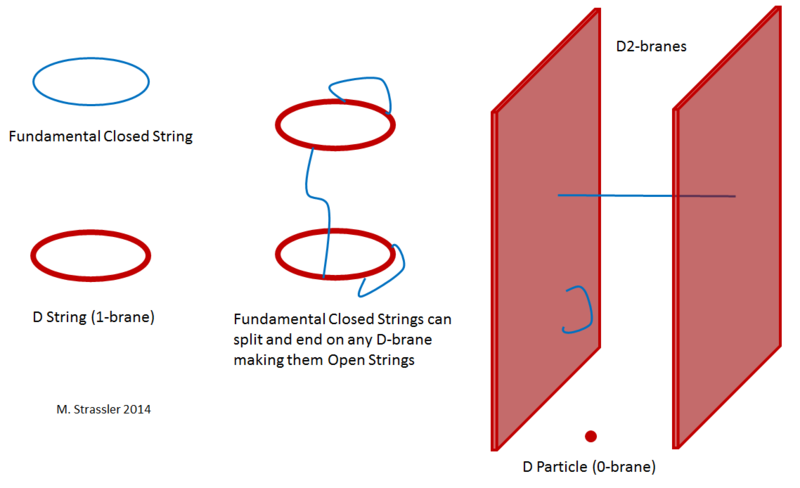 A D-brane is an object where a fundamental string can end; therefore, in the presence of D-branes, a closed string can break into an open string with both ends on a D-brane (center and right). Notably, there are contexts in which M theory exhibits no string-like objects at all. It’s the same with particles and fields; simple field theories have particles, but most field theories aren’t simple, and many complicated field theories don’t have particles. It can happen that the particles that would be observed in experiments may have nothing to do with the fields that appear in the equations of the theory; this was something I alluded to in this article. I also earlier described scale-invariant quantum field theories, which don’t have particles. Quantum field theories on curved space-time don’t have simple, straightforward notions of particles either. Quantum field theory is complex and rich and subtle, and we don’t fully understand it; I wrote seven posts about it in this series, and did little more than scratch the surface. String/M theory is even more complicated, so it will surely be quite a while before we understand it. But specifically, what this means is that what I told you in my last article about “simple superstring theories” is simply not always true. And that means that the first “vague prediction of string theory” that I described might not be reliable… no more than overall predictions of simple field theory, all of which are true in the context of simple field theories, but some of which are often false in more complex ones. By the way, those of you who’ve read about string theory may wonder: where is supersymmetry in my discussion? Historically, in all these developments, the mathematics and physics of supersymmetry played an important role in making it easier to study and confirm the existence of these branes within string/M theory. However, the branes are present in the theory even when supersymmetry isn’t exact. One must not confuse the technically useful role of supersymmetry in clarifying how string/M theory works for a requirement that supersymmetry has to be an exact (or nearly-exact) symmetry for string/M theory to make sense at all. It’s just a lot harder to study string/M theory in the absence supersymmetry… something which is also true, though to a somewhat lesser extent, of quantum field theory. To be continued… next, how are quantum field theory and M theory similar and different? Last year, in a series of posts, I gave you a tour of quantum field theory, telling you some of what we understand and some of what we don’t. I still haven’t told you the role that string theory plays in quantum field theory today, but I am going to give you a brief tour of string theory before I do. What IS String Theory? Well, what’s Particle Theory? What is particle theory? It’s nothing other than a theory that describes how particles behave. And in physics language, a theory is a set of equations, along with a set of rules for how the things in those equations are related to physical objects. So a particle theory is a set of equations which can be used to make predictions for how particles will behave when they interact with one another. Now there’s always space for confusion here, so let’s be precise about terminology. “Particle theory” is the general category of the equations that can describe particles, of any type and in any combination. “A particle theory” is a specific example of such equations, describing a specific set of particles of specific types and interacting with each other in specific ways. For example, there is a particle theory for electrons in atoms. But we’d need a different one for atoms with both electrons and muons, or for a bottom quark moving around a bottom anti-quark, even though the equations would be of a quite similar type. Most particle theories that one can write down aren’t relevant (or at least don’t appear to be relevant) to the real world; they don’t describe the types of particles (electrons, quarks, etc.) that we find (so far) in our own universe. Only certain particle theories are needed to describe aspects of our world. The others describe imaginary particles in imaginary universes, which can be fun, or even informative, to think about. Modern particle theory was invented in the early part of the 20th century in response to — guess what? — the discovery of particles in experiments. First the electron was discovered, in 1897; then atomic nuclei, then the proton, then the photon, then the neutrino and the neutron, and so on… Originally, the mathematics used in particle theory was called “quantum mechanics”, a set of equations that is still widely useful today. 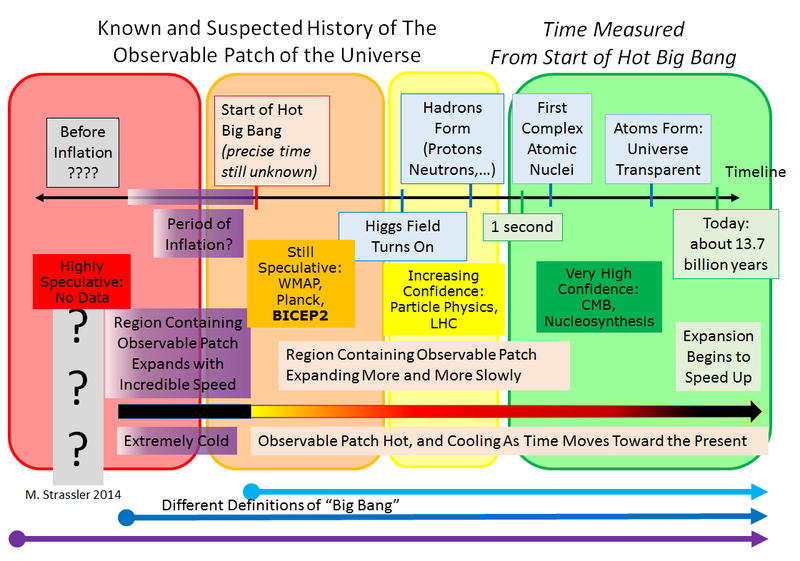 But it wasn’t complete enough to describe everything physicists knew about, even at the time. Specifically, it couldn’t describe particles that move at or near the speed of light… and so it wasn’t consistent with Einstein’s theory (i.e. his equations) of relativity. In quantum field theory, fields are the basic ingredients, not particles. Each field takes a value everywhere in space and time, in much the same way that the temperature of the air is something you can specify at all times and at all places in the atmosphere. And in quantum field theory, particles are ripples in these quantum fields. More precisely, a particle is a ripple of smallest possible intensity (or “amplitude”, if you know what that means.) For example, a photon is the dimmest possible flash of light, and we refer to it as a “particle” or “quantum” of light. We call such a “smallest ripple” a “particle” because in some ways it behaves like a particle; it travels as a unit, and can’t be divided into pieces. But really it is wave-like in many ways, and the word “quantum” is in some ways better, because it emphasizes that photons and electrons aren’t like particles of dust. but to make those equations consistent with Einstein’s special relativity (needed to describe objects moving near or at the speed of light) they invented the equations of quantum field theory, in which particles are ripples in fields. in this context the fields are more fundamental than the particles; and indeed it was eventually realized that one could (in principle) have fields without particles, while the reverse is not true in a world with Einstein’s relativity. thus, quantum field theory is a more general and complete theory than particle theory; it has other features not seen in particle theory. Now what about String Theory? In the last post in this series, I pointed out that there’s a lot about quantum field theory [the general case] that we don’t understand. In particular there are many specific quantum field theories whose behavior we cannot calculate, and others whose existence we’re only partly sure of, since we can’t even write down equations for them. And I concluded with the remark that part of the reason we know about this last case is due to “supersymmetry”. What’s the role of supersymmetry here? Most of the time you read about supersymmetry in the press, and on this website, it’s about the possible role of supersymmetry in addressing the naturalness problem of the Standard Model [which overlaps with and is almost identical to the hierarchy problem.] But actually (and I speak from personal experience here) one of the most powerful uses of supersymmetry has nothing to do with the naturalness problem at all. The point is that quantum field theories that have supersymmetry are mathematically simpler than those that don’t. For certain physical questions — not all questions, by any means, but for some of the most interesting ones — it is sometimes possible to solve their equations exactly. And this makes it possible to learn far more about these quantum field theories than about their non-supersymmetric cousins. Who cares? you might ask. Since supersymmetry isn’t part of the real world in our experiments, it seems of no use to study supersymmetric quantum field theories.